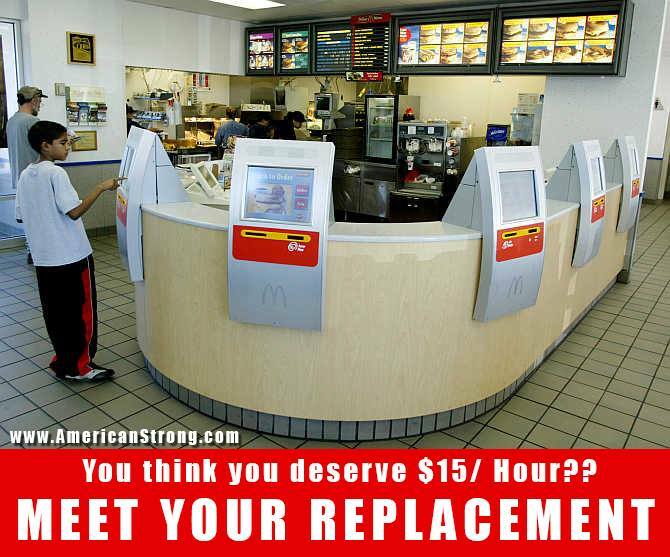 Will the USA cease to exist as we know it if the minimum wage is raised to $15? You’ve seen this one, right? It’s been making the rounds on Facebook and other social media sites recently. The message is, of course, that demanding an increase in the minimum wage will cause employers to switch to automated systems, and cause our minimum-wage workforce of teenagers working after school to simply dry up. Of course, what they don’t tell you are two very relevant facts: most minimum wage workers are adults, and automation has been taking jobs since the beginning of the industrial revolution. Jesus loves me, this I know – for the Bible tells me so. I’ve been stewing about this one for several days. Recently, a Facebook comment had me wondering at the unrecognized arrogance and self-importance of religious believers. A woman posted a rather long comment praising Jesus and God for the gift He had given her. Her story is basically this: She was unable to be at her side when her mother died, and she felt terrible about it. 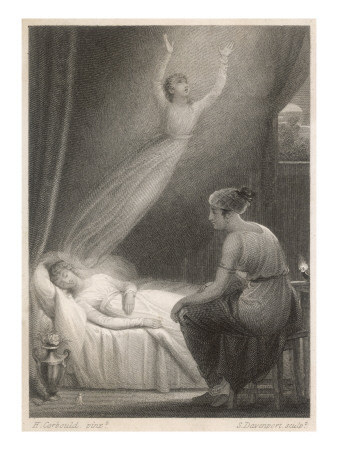 Once she did arrive however, she felt her mother’s spirit pass through her as it left to ascend to heaven. This woman ascribed that as a gift from God to ease her grief and regret. My first thought? How utterly arrogant and self-centered! 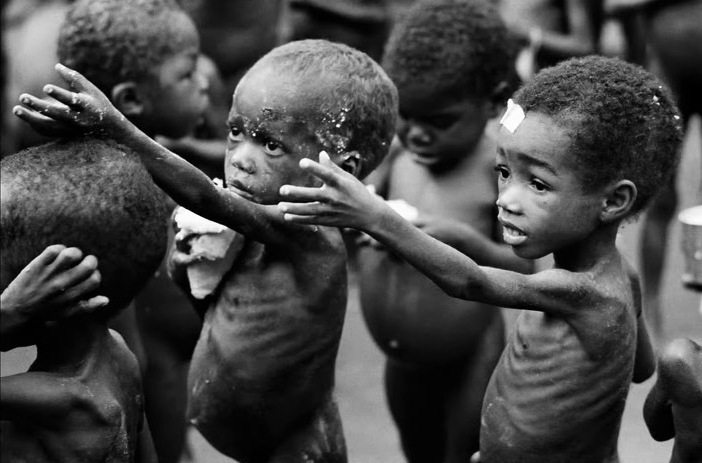 these kids are starving to death. God doesn’t seem to be interested in helping them feel good. You know, by providing enough food for them to eat. God doesn’t want that woman to feel bad about Mom’s passing, but it must be part of his “plan” to let thousands of children die each day from hunger and disease. If anyone wonders how I can be an atheist, here’s just one small reason. If your God wants my worship, he’s going to have to demonstrate better priorities. Starving children come before adults not being sad. The fly in the ointment: I have divine dispensation from natural disasters even though I’m gay and the cause of them. “God is systematically destroying America,” chaplain John McTernan, the founder of Defend and Proclaim the Faith ministries wrote in a blog post on his website in October of 2012 (apparently now deleted). “Just look at what has happened this year,” referring to Hurricane Sandy. Cindy Jacobs, of Generals International, blamed the 9.0 earthquake and resulting tsunami that killed more than 15,000 people in Japan on homosexuality. God is really pissed at us for “the gay”. But he seems to really like me. I’m both gay, and an atheist, so I’m a bit confused by the whole thing. Why do I say he likes me? Well, according to so many vociferously anti-gay preachers, God is sending natural disasters to punish us for tolerating and accepting “the gay”. But when I went to Kansas this month to visit relatives, he missed an easy opportunity to make a point. The week before I visited, the region around my sister’s home was hit with severe storms, and even had storm chasers out posting live video on the internet, just down the road from her house! 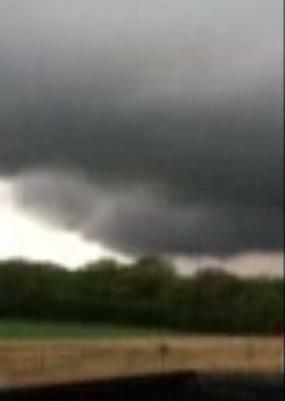 I was watching live, here in California, as a severe storm produced tornadoes in the immediate area. The four days I was there, however, the weather was sunny, clear, and pleasant! The day I left, the bad weather started back up, and the area was again hit with tornadoes, like the one seen forming in the picture above, taken from cell phone video shot by my brother-in-law. Indeed, on my entire trip, I only got rained on a little bit, snowed on for literally seconds, and hardly needed my coat. Bad weather scares the beejeebies out of new residents in central Kansas. The Gaytheist comes to visit, and it’s gorgeous. He leaves, and the storm chasers are back out with huge tornadic activity in the area. For a deity so allegedly worked up about “the gay”, he’s confusing the hell out of me.